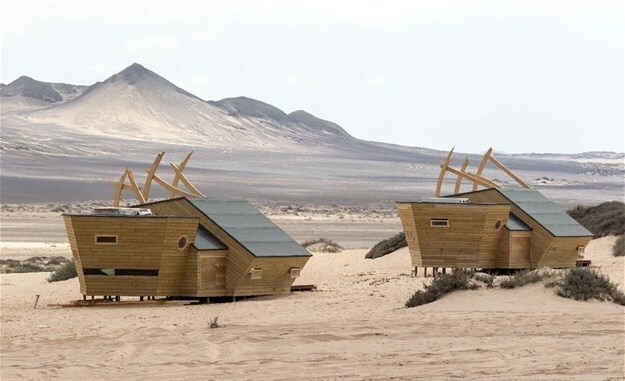 New camps, Hoanib Valley Camp and Shipwreck Lodge have opened in Namibia, making it the first properties for Natural Selection in the area. Situated in the rugged and remote northwestern region, both camps opened in June 2018 and offer safari goers an in-depth experience far from the normal tourist track. Designed by Cate Simpson of Reflecting Africa, best known for her work on North Island in Seychelles, the Hoanib Valley Camp is understated and beautifully subtle: the earthy colour palette is inspired by the landscape and bespoke cushions and furniture are unique and sophisticated. The wildlife is perfectly at home and game drives encounter herds of desert-adapted elephant, giraffe and desert lion existing alongside solitary oryx, springbok and wily jackal. Guests at Hoanib Valley Camp have the opportunity to contribute to the important giraffe research happening in the area. Trained by Natural Selection's partners, Giraffe Conservation Foundation (GCF), all guides at Hoanib Valley are giraffe experts. Guests can get hands-on and photograph the giraffe they encounter, identifying them and submitting their images for data mapping - all essential work in monitoring the local population of a species which is now listed as vulnerable on the IUCN Red List. To the west of Hoanib Valley Camp, on the mist-enshrouded Skeleton Coast, is Shipwreck Lodge. The two camps may be combined with a full-day scenic drive through riverbeds that teem with game, over sand dunes and across wide gravel plains. Shipwreck Lodge is a joint venture with Natural Selection and local Namibian companies Trip Travel and Journeys Namibia, as well as the local communities that border the park. Designed to resemble the shipwrecks that line Namibia’s Skeleton Coast, the lodge is both dramatic and architecturally interesting. The lodge is in the Skeleton Coast central concession area and is the only luxury accommodation within the Skeleton Coast National Park. Although the Skeleton Coast seems inhospitable at first glance, it boasts an irreplaceable and vulnerable wildlife habitat for species of conservation importance, including desert elephant, brown hyena and the Hartmann’s mountain zebra. It also hosts the only other viable lion population in Namibia outside of Etosha National Park. Designed by a Namibian team, architect Nina Maritz and interior designer Melanie van der Merwe, the property was built with the utmost respect for the environment and the 10 cabin-style bedrooms were constructed using only wooden nails. Inside, shades of blue, burgundy, black and white represent the ever-changing moods of the ocean and the use of recycled wood, rope, linen and cotton is authentic yet soothing. All rooms are ensuite and solar-powered, and each has a wood-burning stove. Dave van Smeerdijk, co-founder of Natural Selection says: "We are excited to launch Hoanib and Shipwreck. As a combination, guests will get the highlights of wildlife, landscape and culture in these remote areas. 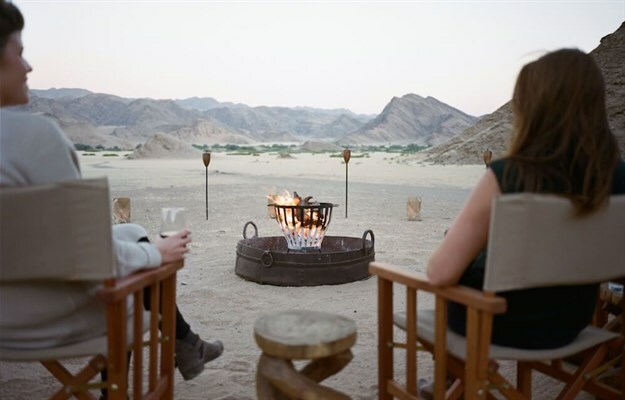 This is probably the best and most exciting combination of lodges in the Namib Desert."